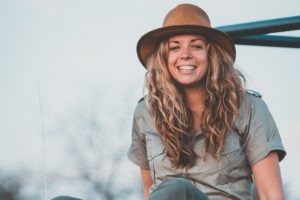 "The legends we work with"
WE WORK WITH A NETWORK OF TRUSTED PARTNERS TO BRING YOU THE MOST UNIQUE SAFARI EXPERIENCES POSSIBLE. 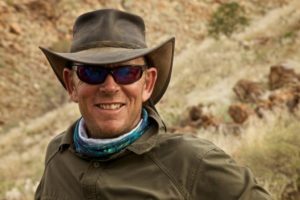 safariFRANK forges endearing long-term relationships with our partners who are comprised of leading operators, guides and consultants. These are often, like us, smaller owner operated boutique suppliers or industry leading individuals in a particular specialist field. 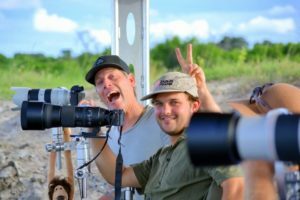 This approach ensures that your safari is not only planned based on specialist knowledge, but also executed by renowned ‘legends’ who are based in Africa. Her book about this adventure was released in Germany on September 9th. On December 1st, it became a bestseller. 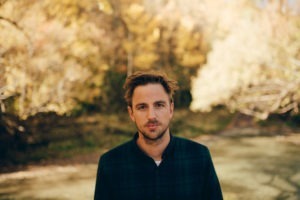 Jason Charles Hill is an accomplished explorer, creative and photographer based on the East Coast of Australia. With a passion for adventuring wild & off beat destinations, Jason’s Imagery can be characterised by his desire to travel, photograph & be outdoors. 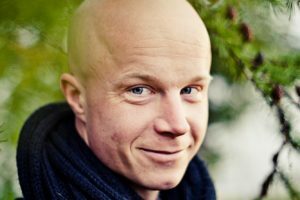 His unique perspective & vision have earned him many opportunities to work on countless campaigns internationally through his photography – establishing himself as a global presence & influence. 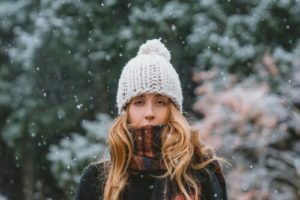 Forever wandering with a camera in her hand – Emilie Ristevski is an Australian based creative. Built upon natural light and curiosity, her work gathers beautiful moments together to simply tell stories through the images she curates. 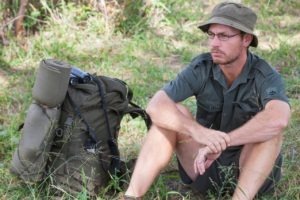 17 years experience in the safari industry and a licenced guide since 2004. 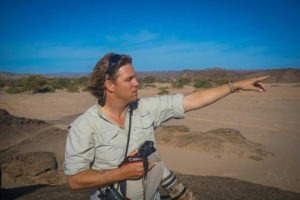 His safaris are focussed on “Photographic stalking” – tracking animals and teaching guests how to make the most of available light, scenery and wildlife for the perfect photograph. A proudly South African bush-man. Professional Trails Guide and qualified Conservationist. Happiest when exploring wild open spaces. There’s something going on between him and Elephant Bulls!? Passionate about birding, botanising and tracking. Has chosen a job he loves and will never work a day in his life. Fortunate to have been raised in South Africa and Botswana. Qualified Trails Guide and Ecologist (MSc). Values the concept and philosophy of wilderness. Hyper-focus may ensue when unique birds and plants are located. Obsessed with simplistic nature experiences. All about the inter-connectedness of the natural environment. 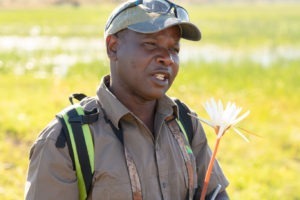 Excellent field guide who has a wealth of experience and knowledge. Lived and worked in the Tuli area for over 12 years. 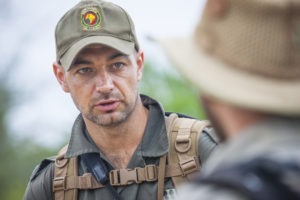 Qualified guide since 1992 and has logged over 1500 encounters on foot with the Big 5. One of his greatest enjoyments is imparting his knowledge to others. Finds the smallest insect as fascinating as the largest tree. 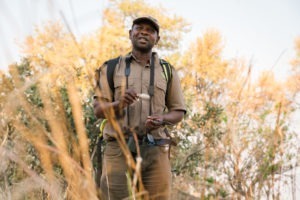 His passion and his infectious laugh is highly contagious and guests always walk away with a deeper understanding of African wildlife and conservation. Born and bred in South African ‘platteland’ (hinterland). Learned horsemanship in army where he became an instructor. Studied conservation too, knowledge and love for the desert inspiring! Skill as a horseman instils enormous trust in environment where it is needed. ‘Superb host’ and ‘best guide ever ridden with’ words often used by clients. Leads a highly professional team ensuring well being and safety of clients. 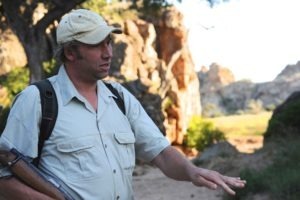 With over 30 years of professional guiding experience in several African countries, Alan continues to break new ground as a safari & walking guide and tracker. 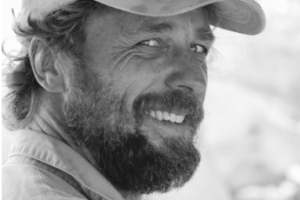 Once a permanent resident of the Okavango Delta in Botswana, Alan co-pioneered a series of unsupported, exploratory dugout canoe traverses of the delta, since then covering and has covered over 3000 kms by dugout. For Alan, the ideal African safari is an exploration of frontiers, of experiential travel, and meaningful encounters with people and big game. And along the way celebrating the wild natures in us all. Alan lives in Hoedspruit, SA, with his wife Sarah and two children, Jake and Meg. Born, bred and brewed South African. Started in the safari industry three decades ago, at age 18. Well known for an understanding with elephants. Passionate about tracking and stalking big game on foot. “Wilderness” is not just a place, it’s a way of life. 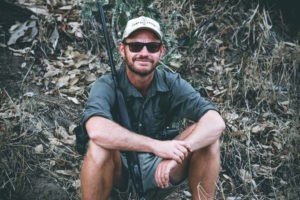 TEDx speaker and active conservationist.